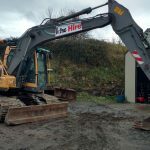 Our 5 Tonne Diggers also come with an optional extra of the hydraulic breaker attachment. 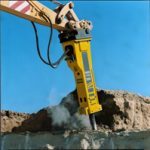 Ideal for the larger sized demolition jobs that can’t be handled by smaller breakers. 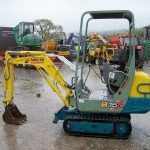 The largest in our range of mini-diggers, they boast fully glazed cabs and a useful zero tail swing feature, ideal for working near roads or waterways. 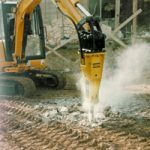 Our 3 Tonne Diggers can come with an optional extra of the hydraulic breaker attachment. Ideal for the larger sized demolition jobs that can’t be handled by smaller breakers. 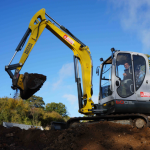 This is our medium sized excavator, and is suitable for the more demanding on site work. This compact mini-digger allows for easy transport and access to hard to get to areas, whilst being robust enough to work in demanding environments. 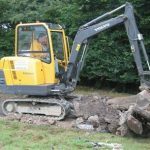 Our 1 and 1.5 tonne diggers are excellent general purpose diggers and are ideal for small landscaping projects.